Grain farmers around the world are well aware of how important it is to have their grain safely harvested, transported and placed securely into grain storage. A great way to make sure this all takes place smoothly is to buy a safe, well built and reliable grain conveyor. It is well worth spending some time on research and testing available choices before investing in a grain conveyor for your farm or business. There are often grain conveyor distributors in agricultural areas or a variety of websites from companies with information online. Grain conveyors are used to transport your grain from a truck, the bottom of a grain storage silo or bottom of grain bins into other silos or places. They can range from small capacity to very large and are used instead of grain vacuums and augers. They have undertaken massive improvements over many years so that they can now be used in a large number of situations for many different tasks. 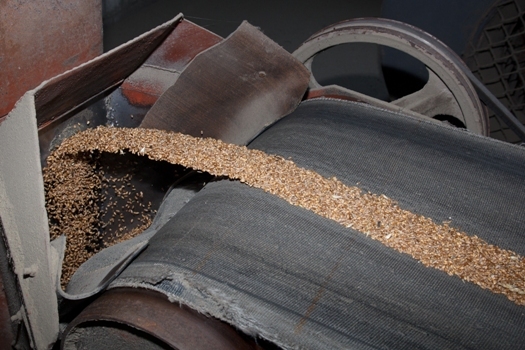 Many grains such as wheat, sorghum, corn, barley, chickpeas and more are able to be moved easily between paddocks, trucks and storage with the use of a grain conveyor. Because of the fact that they are more efficient and safer than augers to operate, many farmers and grain companies are choosing to invest in purchasing them. Reducing the demand for labour is also a great ongoing positive to aid in their ongoing viability. The fact that they can handle larger weights of grain while often having more safety features than equipment such as grain augers is another thing in their favour. So no matter how large or small your grain operation may be, it is more than likely worth spending some time researching an appropriate grain conveyor for your needs. Your current setup may well suffice but as it ages and wears then it would be good to know your options for future grain handling requirements.